Chris Sailer played high school football for Notre Dame Sherman Oaks High School in California from 1992-1994. In 1994 he set the then all time national record for field goals made in a season with 22. That record still stood until 2011 (Cole Hedlund 25) 7 of those 22 field goals came from 50+ yards, including a long of 58. He helped his team to a CIF championship along the way. His historical high school career landed him a full ride scholarship to UCLA where he went on to be a two-time All-American. 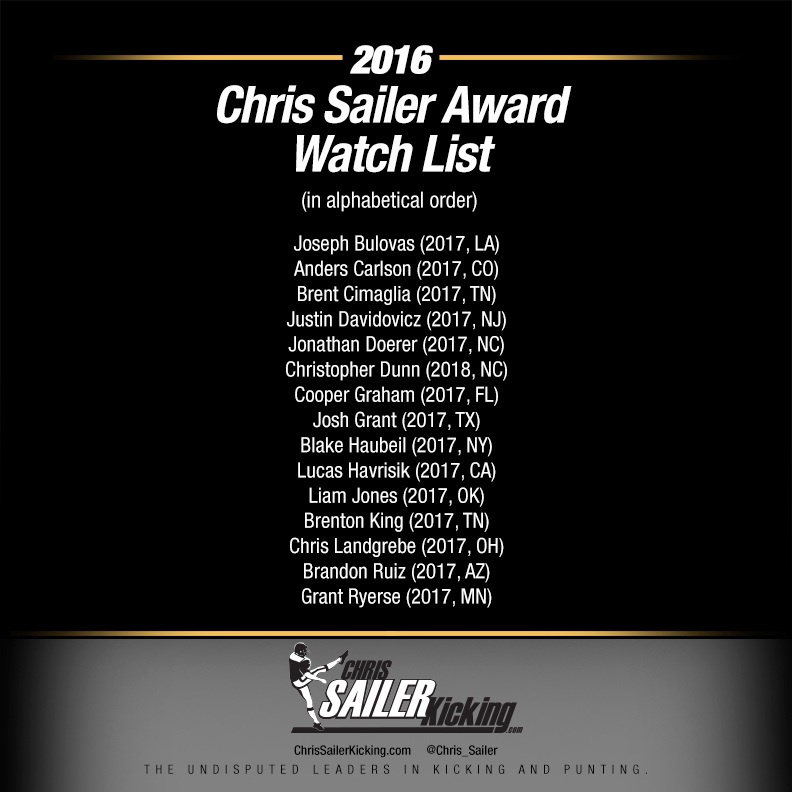 The National High School Placekicker of the Year is named in honor of Chris Sailer for his outstanding high school career and his continued role in the development of young athletes. Chris is now the most prominent private kicking and punting coach in America. He trains and mentors thousands of high school, college, and professional specialists giving back to the sport and shaping the lives of aspiring athletes. December: The Three Finalists are announced. The Finalists will be determined by total votes. 3 points (1st Place Vote), 2 points (2nd Place Vote), 1 Point (3rd Place Vote). 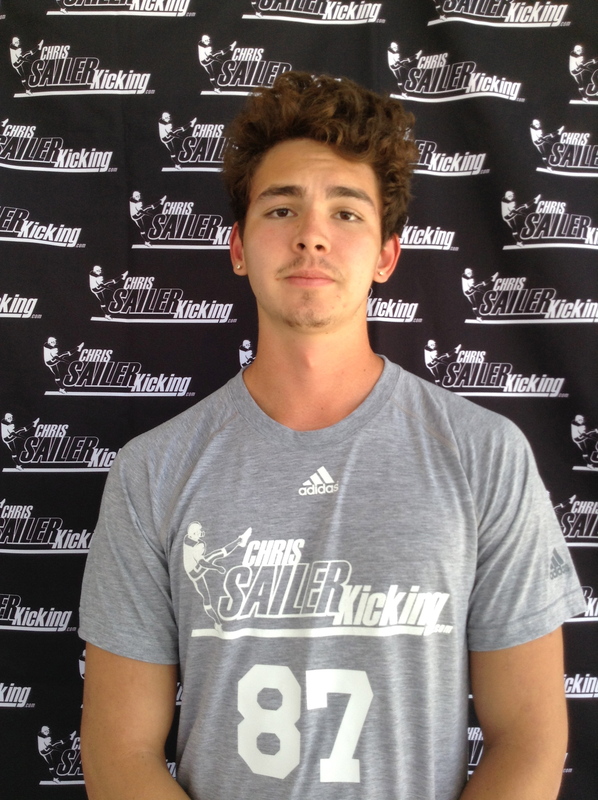 In the case of a tie, Chris Sailer will break the tie with his vote. January: The winner will be announced in Las Vegas, NV on Friday January 13, 2017. The winner will be determined by total votes. 3 points (1st Place Vote), 2 points (2nd Place Vote), 1 Point (3rd Place Vote). 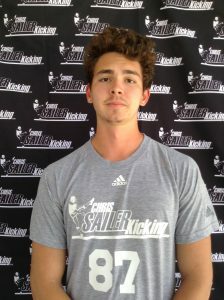 In the case of a tie, Chris Sailer will break the tie with his vote. 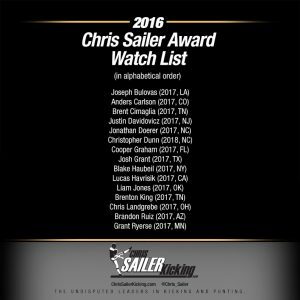 Email your cumulative stats to Chris@ChrisSailerKicking.com each week to be eligible for the award.